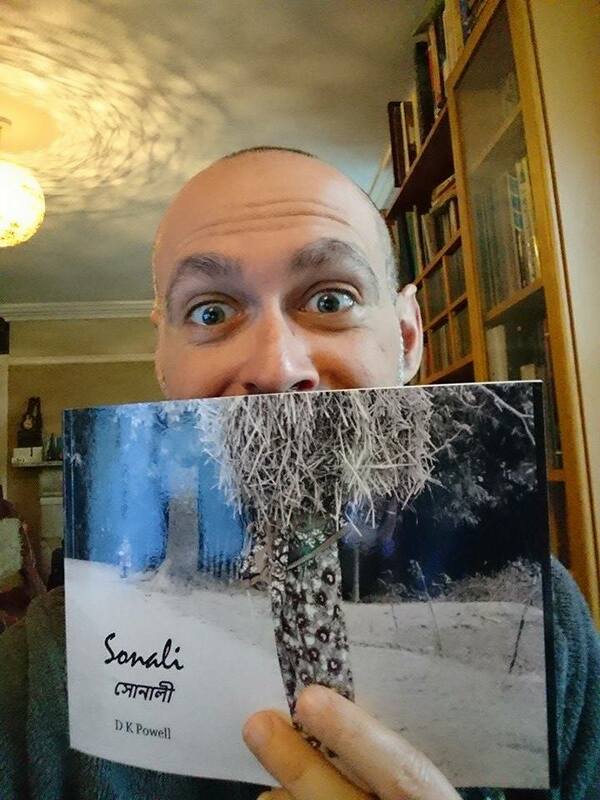 Sonali is now in paperback! I said I wouldn’t do it. I almost wish I hadn’t. But I did. After bringing out Sonali as an E-book and getting some lovely reviews from purchasers, I was plagued by demands to bring it out as a physical paperback. In the end I relented. With my collection of short stories coming out soon as both E-book and paperback, it seemed a good experiment to try it and use Sonali as a ‘dry run’. So here it is! My recommendation is that if you like photos more than text, get the E-book where you’ll see the photos at better resolution and with the soft hints of colour I’ve added in (hopefully) an artistic style. If you’re more interested in culture or practising your Bengali/Bangla then buy the paperback which is more spaciously laid out and feels very nice to hold in the hands. If you DO buy a paperback copy and would like to see the E-book version, get in touch with me (message me on my Facebook page and I’ll private message you back to get your email address) and I’ll send you a pdf copy for free! Whichever you buy, do please leave a review on Amazon. It would be great to see more. I’ll provide major links below.